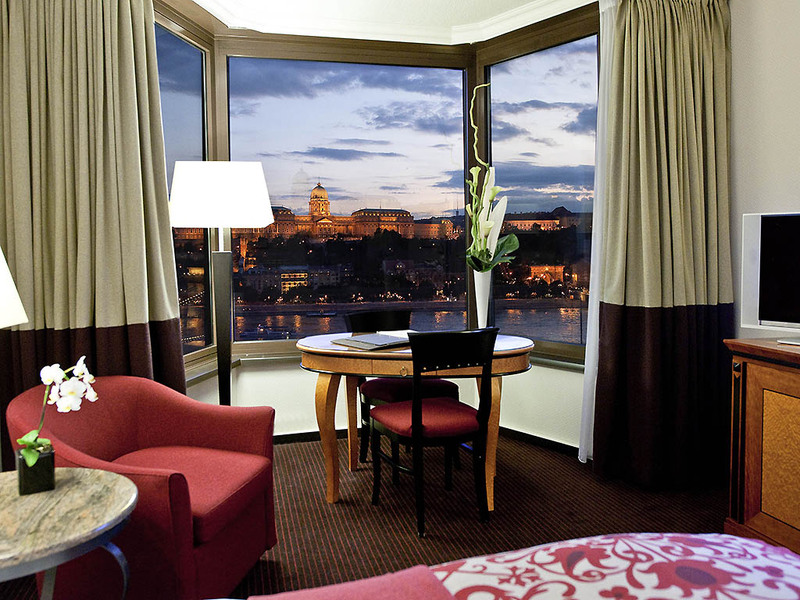 Prepare to be awed by Sofitel Budapest Chain Bridge, a luxury hotel in Budapest's heart. Soaring eight floors high, the atrium of this luxury Budapest hotel is alive with parquet flooring, wood paneling and colorful furniture; a Swarovski crystal "fountain" evokes the flamboyant style of 19th-century Hungary. A magnificent modern tribute by French designer Jean-Phillippe Nuel to the building's rich Hungarian history. Anticipate meticulous choreography, from the gastro show kitchen in Paris Budapest restaurant, to spectacular fashion shows and cocktail receptions directed by InspiredMeetings teams. A piano tinkles softly in Bibliotek Lounge. Life is Magnifique in Budapest.. Experience Budapest´s rich culture at the Hungarian State Opera or feast your eyes on Roman, Gothic and Art Nouveau architecture - an art historian's dream. You are within walking distance of Budapest's best sightseeing, luxury boutiques and restaurants.From Liszt Ferenc Airport, take Ulloi Str and head towards central Budapest. Turn left at Kinizsi Str, then right on Pesti alsó rakpart by the Danube. Go right at Belgrád rakpart to the hotel in Széchenyi Sqr. By metro, take line 3 to Deak Sqr. 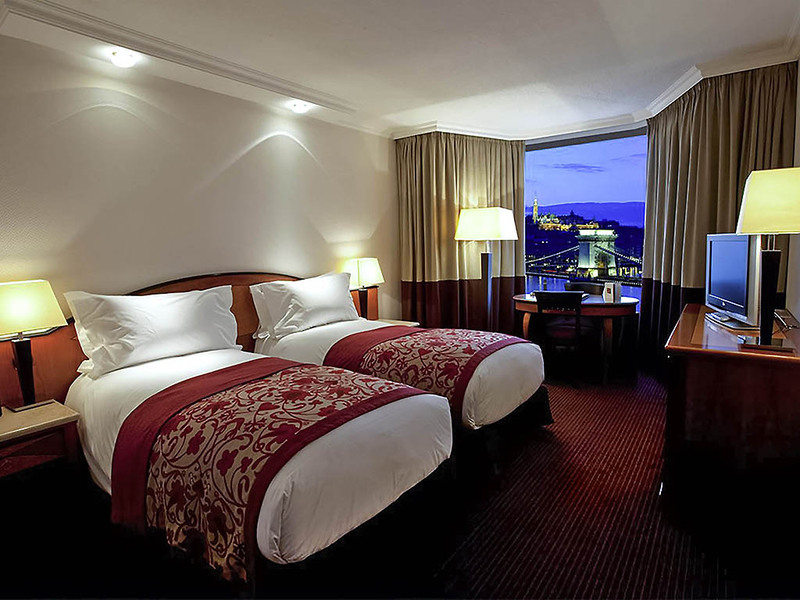 Enjoy exclusive accommodation in Budapest. 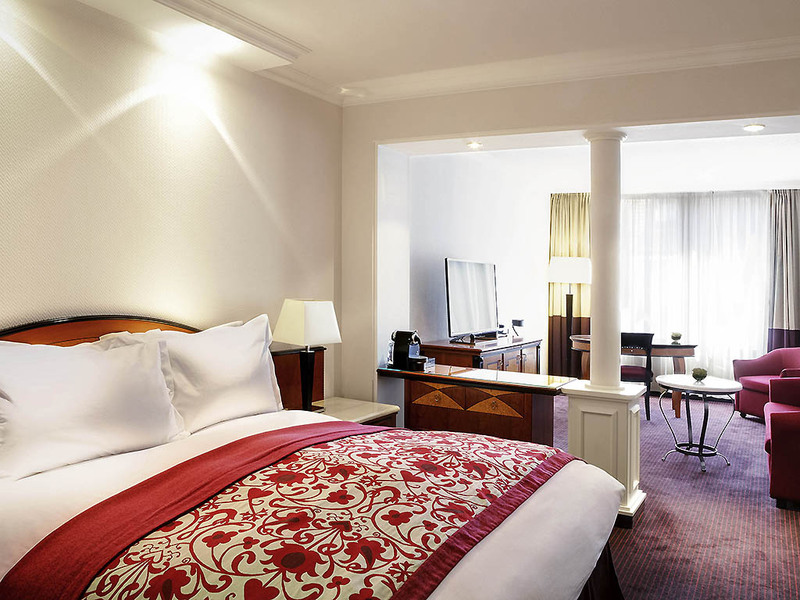 Our 357 rooms and suites offer superb views, Sofitel MyBed, complimentary Wi-Fi, marble bathrooms with luxury toiletries; upgrade to Sofitel Club for the ultimate Budapest accommodation experience. 28 m² / 300 sq. ft., Lower Floors, Simple elegance, 40" LED TV, Marble bathroom with tub, Minibar, Tea and coffee making facilities, WIFI access free of charge. 28 m² / 300 sq. ft., Upper Floors, Refined ambience, City view, 40" LED TV, Marble bathroom with tub, Minibar, Tea and coffee making facilities, WIFI access free of charge. 28 m² / 300 sq. 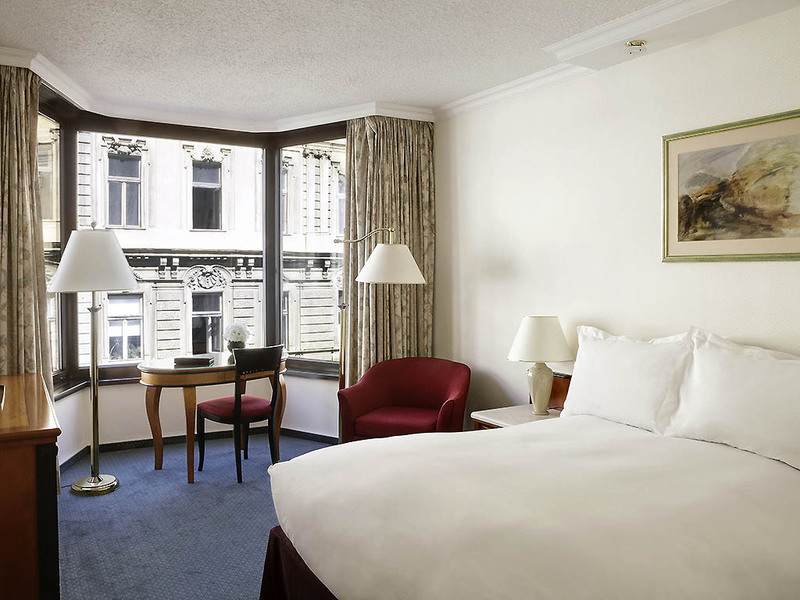 ft., Magnificent views of the Danube river and the Royal Castle hill. 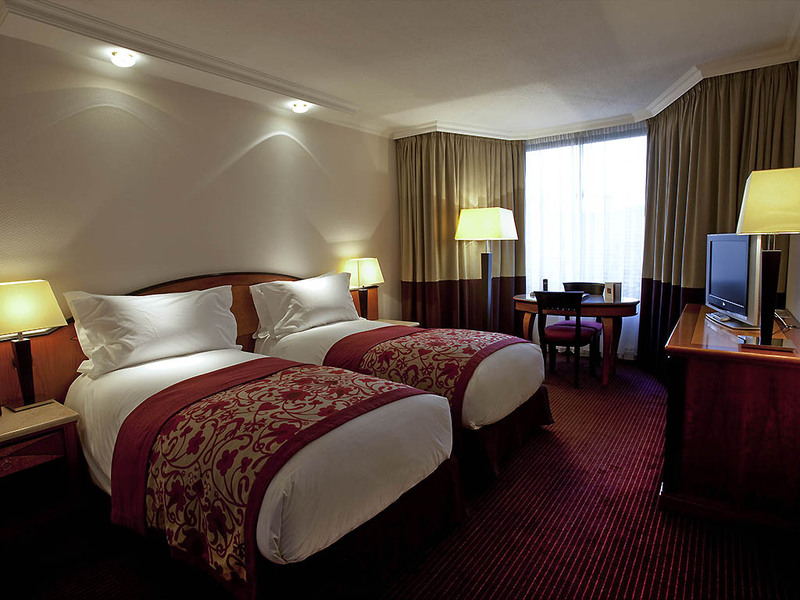 40" LED TV, Marble bathroom with tub, Minibar, Tea and coffee making facilities, WIFI access free of charge. 28sqm/300sqf, Magnificent views on the Danube river and the Royal Castle hill. 40'inches LED TV, Marble bathroom with tub, Minibar, Tea and coffee making facilities, WIFI access free of charge, Rollaway bed allowed at additional fee and on request. 28sqm/300sqf, Magnificent views on the Danube river and the Royal Castle hill. Exclusive complimentary services: exclusive breakfast, daily fine snacks and drinks in Club Millésime, WIFI access free of charge, Nespresso, BOSE Audio System in room. 46 m² / 490sq. 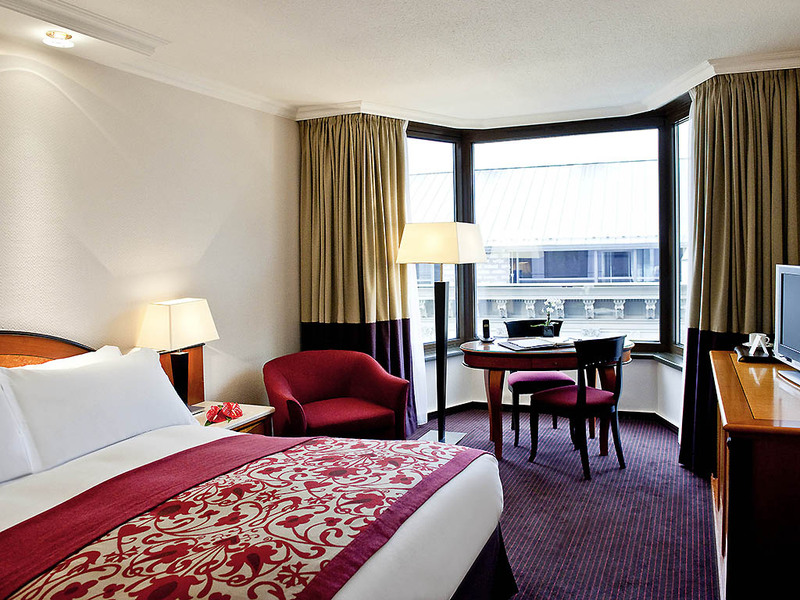 ft., sitting area, city view, 46" LED TV, free WIFI access, Nespresso coffee machine, and BOSE audio system in room. 49m² / 520ft², Magnificent views on the Chain Bridge. Extra living room, Exclusive services: exclusive breakfast, daily snacks and drinks in Club Millésime, free WIFI, Nespresso, BOSE Home Cinema system in room. 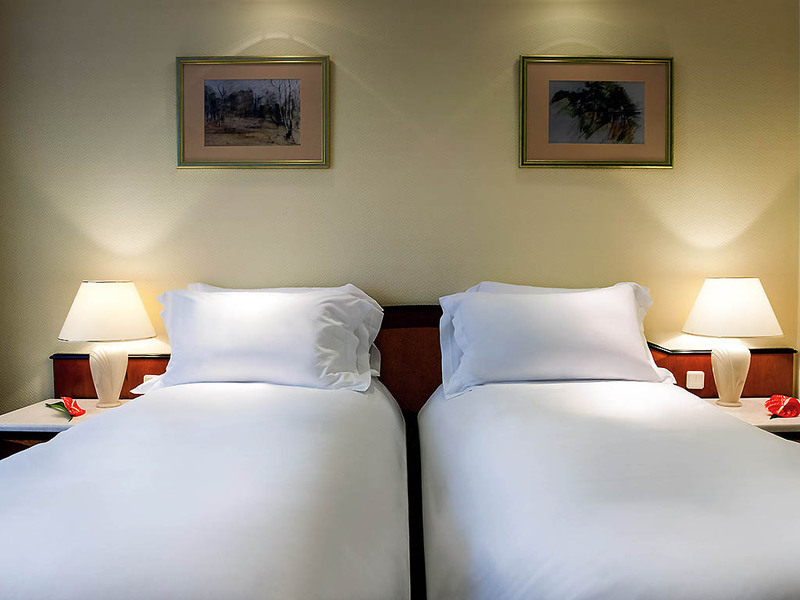 Sofitel offers Club Millesime rooms and lounges that provide additional benefits with personalized service. Attentive services from dedicated team of staff and butlers in the comfort of the Club Lounge and rooms. Discover refined cuisine in our two Budapest restaurants. Serving breakfast daily, Terrasse Restaurant also offers private dining in Budapest. In the intimate Paris Budapest Restaurant, a sommelier pairs French-Hungarian dishes with exceptional wines. Paris Budapest Bar's magical lighting and hand-crafted cocktails invite after-work drinks and pre-dinner tipples. In summer, spill out to the terrace bar for Budapest views, lemonade and meals hot from the grill. Piano music soothes at Bibliotek Lounge. Images of the two cities reflect Paris Budapest Restaurant's intriguing menu: a creative blend of French and Hungarian cuisines. In the gleaming show kitchen, the head chef works with local ingredients like Hungarian "gray beef" and Mangalica pork. High stools, leather couches and soft, violet lighting imbue Paris Budapest Bar with a vibrant yet cozy atmosphere. Sip signature cocktails overlooking the illuminated Chain Bridge: a stunning backdrop to a party in Budapest or socializing with friends. Gorgeous views of the Danube River, wood paneling chandeliers make our hotel the perfect choice for corporate events in Budapest. The hotel's 17 elegant meeting rooms include a grand ballroom for splendid gala receptions. Academy Rooms boast the latest technology and natural light. The lobby and Bibliotek Lounge host spectacular fashion shows and exhibitions while the Board Dining Room is an intimate space for private lunches and dinners. Our chefs bespoke menus feature the finest French and Hungarian cuisine. Best of all our experienced Inspired Meeting Planner team is on hand to help you plan a cousu main conference or event including catering decor and state-of-the-art equipment. 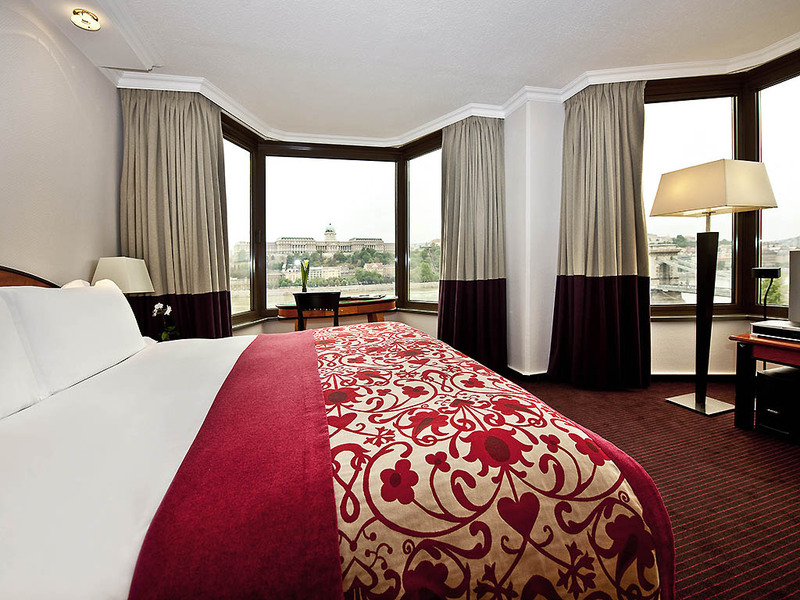 For a special wedding in Budapest, choose Sofitel Budapest Chain Bridge. With a host of panoramic Budapest wedding venues, gourmet catering and a luxury Imperial Suite for your wedding night, this is a memorable place to marry in Budapest. Soothe body and mind inside the hotel's luxury spa. Located on the first floor, the spa has a full range of treatments, including facials, massages, manicures, pedicures and body treatments. Sothys beauty products set the standard. Let our expert concierge help you navigate the best of Budapest: tours, thermal baths, local attractions, transport... Arrange private indoor parking, currency exchange, dry cleaning, babysitting and more. Pets are welcomed. Enjoy the breathtaking view of the Chain Bridge and Buda Castle during a perfect sightseeing cruise in Budapest on Danube boat. We will happily arrange 1 hour day or night cruises with audio guide, drinks and WIFI. Computerized exercise equipment helps you get the most out of your workout. Afterwards, rejuvenate your body in one of our two Finnish saunas. Our SoFit center and spa in Budapest also features a 12-meter heated indoor swimming pool.